Despite a slumping housing market as well as an influx of renters, prices for rental properties are on the rise nationally. One-bedroom and two-bedroom rental properties experienced the biggest increase by far. One-bedrooms saw an increase of 15.38% while two-bedrooms saw a 13.17% increase, especially in McKinney, Texas and other North Texas area rental properties. The main reason for the price increase in rental properties was the sudden demand. A lot of people are being driven to the rental market by the sluggish economy as well as the uncertainty surrounding the safety of many people’s jobs. 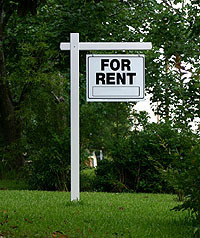 Aside from that, many people who have entered the rental market are staying put in it. This entry was posted in Apartment Rental, House Rental and tagged apartment rentals, House Rentals, McKinney Texas, Texas apartment rentals, Texas House Rentals, Texas Rentals. Bookmark the permalink.